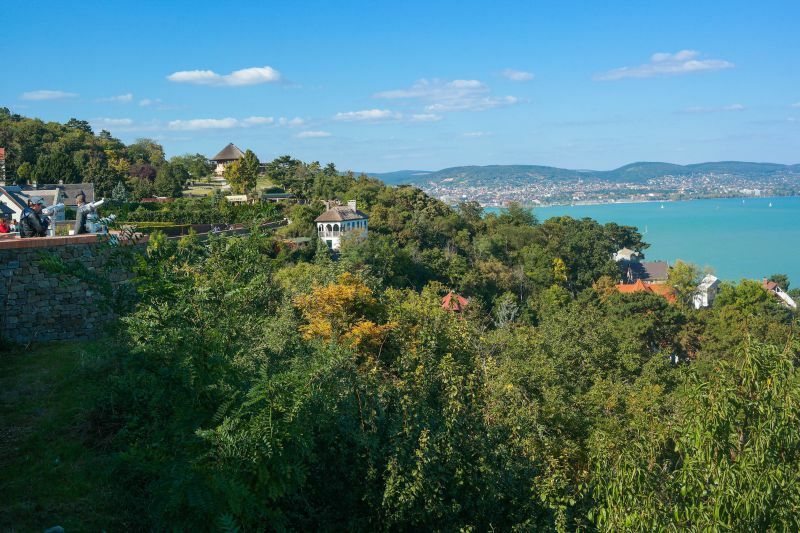 Tihany is a peninsula of incredible lavender fields, turquoise Hungarian Sea, and extinct volcanoes. 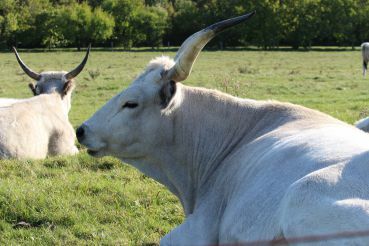 This is a huge reserve with charming Hungarian cows that graze grass. 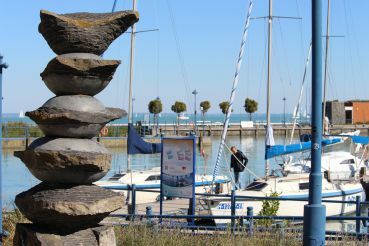 An authentic village with Mediterranean landscapes and one of the most beautiful embankments of Lake Balaton. 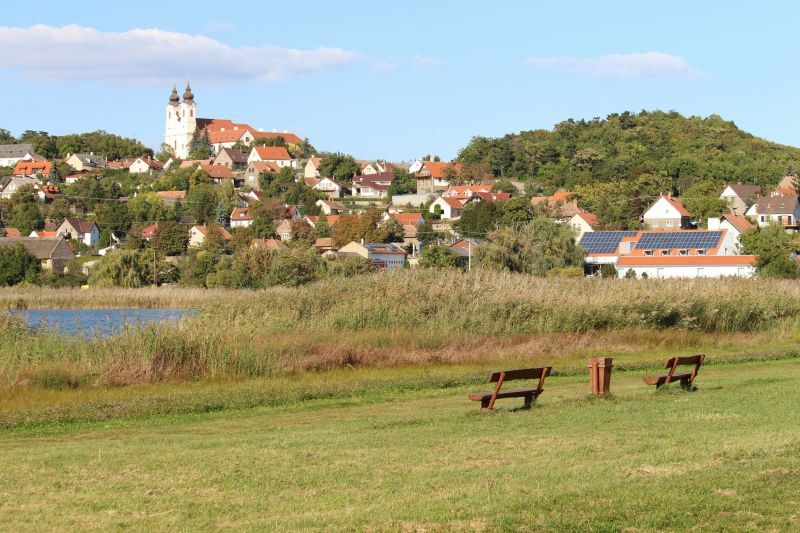 For a long time Tihany was an island of bubbling volcanoes. For centuries it remained isolated from the land. But 25 million years ago, when the earth shook, and tectonic plates could not find peace and Lake Balaton was born. 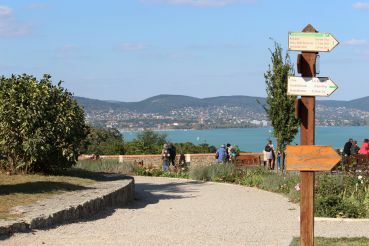 And Tihany turned into a peninsula. Volcanoes have fallen asleep, primeval lakes have settled in their craters: you can find them here now. Since those ancient times, the peninsula has been incredibly reminiscent of the rocky landscapes of the Mediterranean resorts. And it can boast with rich fauna and flora. It also was the first to be given the status of a protected area in Hungary. The beautiful lands attracted various nationalities at all times. The peninsula has been inhabited since the prehistoric times. Of course, the Romans were here. 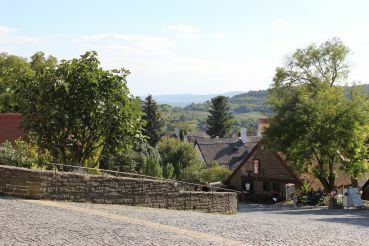 But the quiet village of Tihany begins its history from the Middle Ages. In the 11th century, King András I laid the monastery, which today is the highlight of the peninsula. It all started with the abbey. 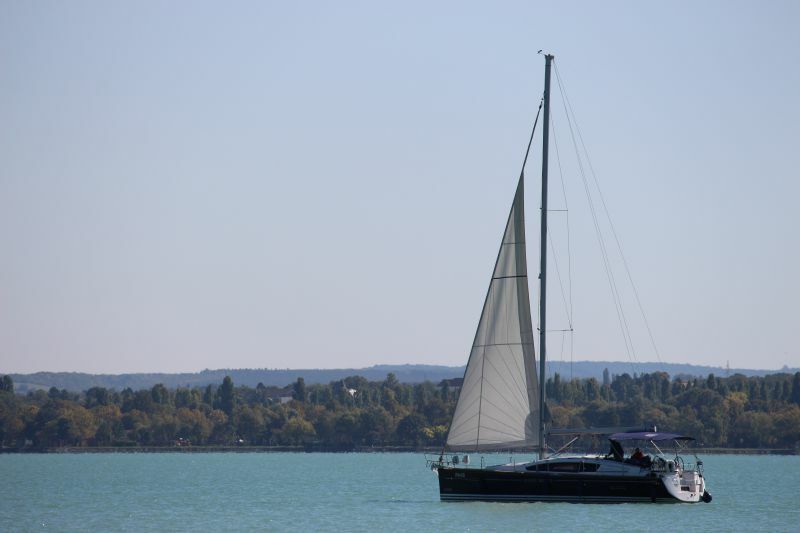 Now Tihany is the pearl of Balaton, and one of the most popular places on the lake. This is the place where you want to come back to. 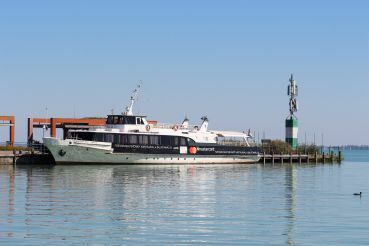 Ferry runs from the opposite shore to the peninsula: just 8 minutes on the way. 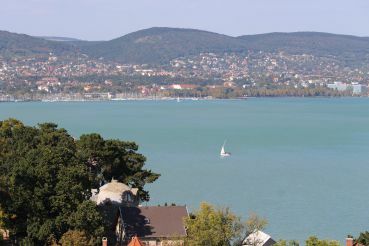 Tihany rises above the level of Balaton at 200 m, the highest point of the peninsula is 235 m.
Lavender grows on Tihany (30 hectares) and lavender festivals take place here. 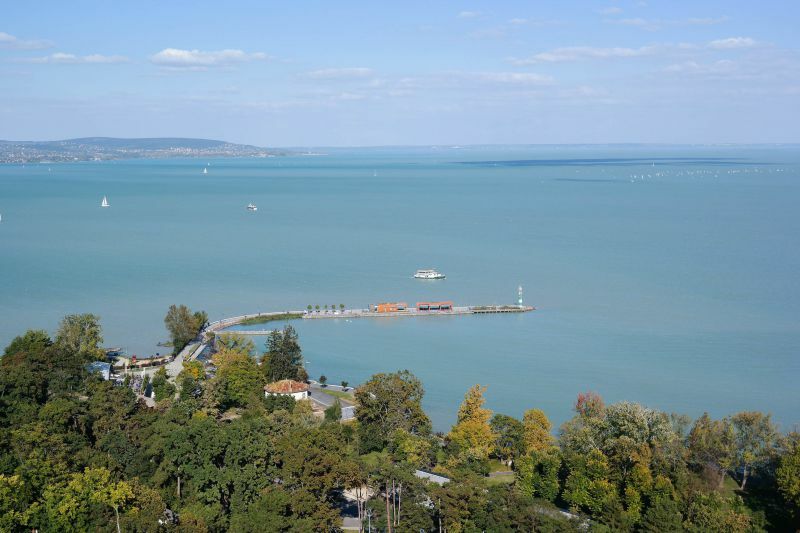 The peninsula protrudes into Lake Balaton for 5 km and divides it into two unequal parts. 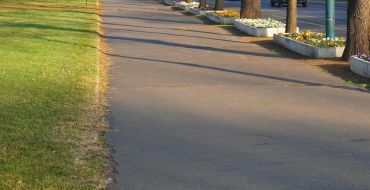 The area of ​​the peninsula is 12 square metres. 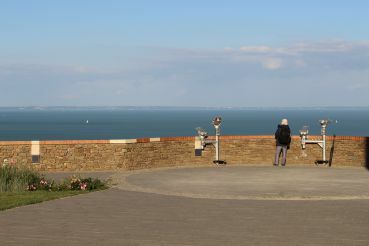 The narrowest point of Balaton is at the tip of Tihany – the opposite bank is only 1.5 km away. The entire peninsula is a protected area. 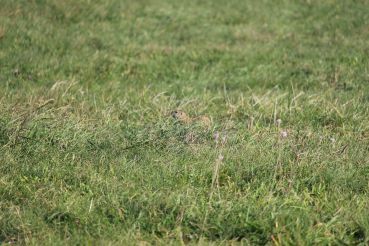 It became the first reserve in Hungary. 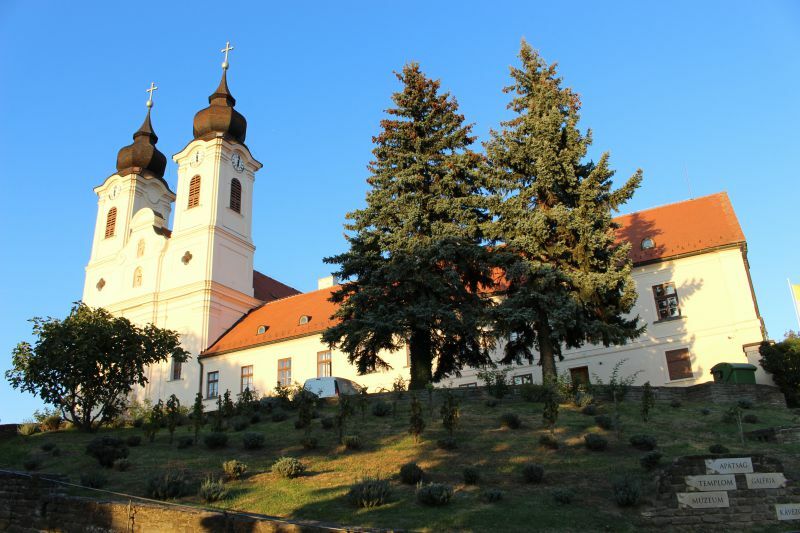 There is a completely unusual abbey on Tihany: in its museum you will learn the favorite recipes of monks, the secrets of coffee, beer and wine. One time Angelina Jolie and Brad Pitt stayed in Tihany. The filming of the movie In the Land of Blood and Honey, directed by Jolie, took place in Budapest. 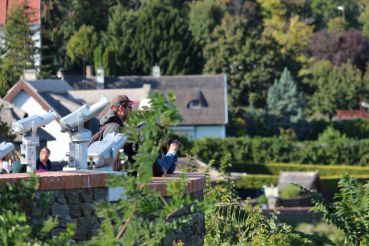 But the star couple stopped in Tihany, near the embankment. Inland lakes. Those same ones that settled in the craters of volcanoes. 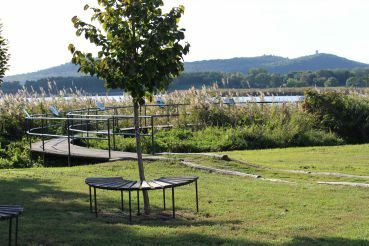 Lake Belsõ-tó is a popular place for fishing (you can rent a boat and go fishing). And Külsõ-tó is a paradise for water birds. This is a great place to walk. Geyser cones. They appeared in times of restless volcanoes. The most famous is the Golden House. These are rocks that are covered with lichen, casting gold on sunny days! Just in 10 minutes walk from the inland lake. Bozsai-öbö Bay. Recreation site of rare birds and animals, with many plants. Water lilies are among them. 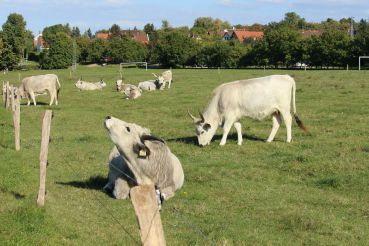 Pastures and fragrant meadows are also here. There are poppy fields near Belsõ-tó, on Tihany, but when they fade, they are sometimes mown. Tihany Abbey with the crypt of the Hungarian king Andras I is the highlight of the peninsula. Reformed Church with a bell tower. The summer residence of the Archduke Joseph Habsburg. Nyársas hegy is a blood-cooling place with the fortress, in which the Turks were executed and put on a stake. 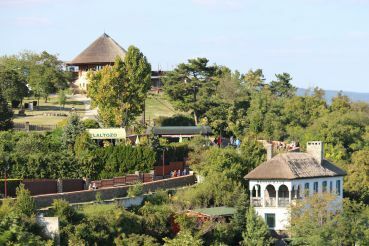 Kálvária is the most beautiful Calvary of the 20th century, a popular tourist destination. The settlement of hermits (monastic cells Remetetelep). 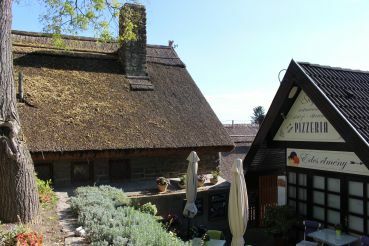 Skansen is an ethnographic museum, which houses ancient houses from all over the coast of Balaton. Panopticon is a museum of Hungarian kings and pirates made out of wax. Ships, black door, old coins and even female pirates! Dolls Museum – there are more than a hundred pretty porcelain toys and miniature houses from the 19th and 20th centuries. Museum in the Benedictine Abbey. The wine cellar and the wine press of the former abbey, where excellent Tihany wines are still kept. 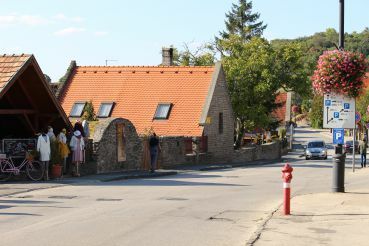 Medieval Batthyany street with authentic houses. Every year lavender fields flare up on the Tihany Peninsula in June. 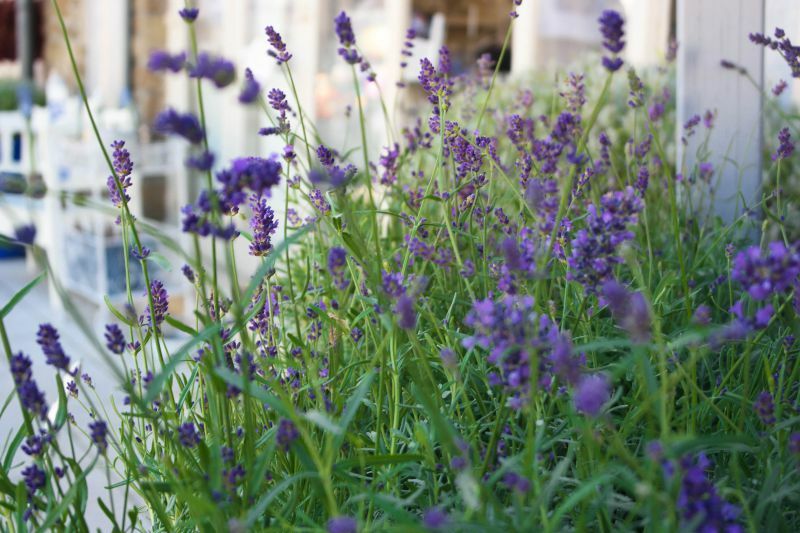 Lavender festivals are held in summer, and they are not inferior to the exquisite French festivals. 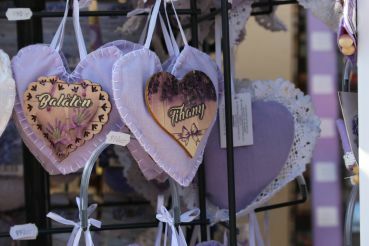 On Tihany, you can take part in the gathering of the “queen of fragrances” (about 2000 forints). 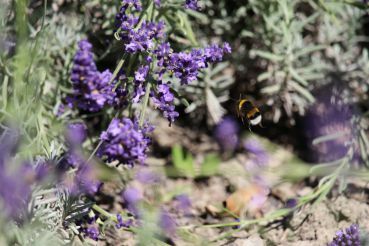 For example, in 2018, the lavender festival was held on Tihany from 15 to 22 June. It is impossible not to fall in love with this lavender splendor! In the fall, you will definitely see this flower. It modestly grows on embankments, in parks, and just in pots on the streets! Almost every yard has at least one lavender bush! 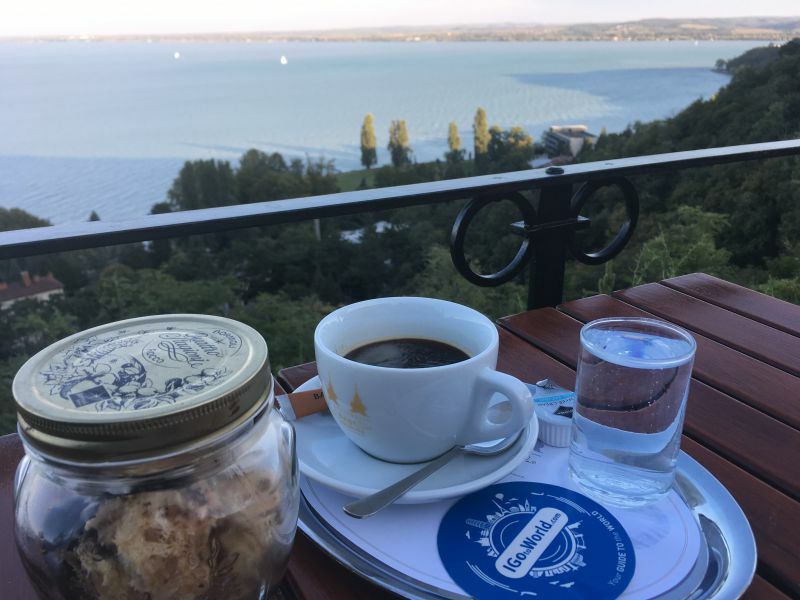 Tihany is a lavender island where you will find lavender hearts and lavender bicycles, lavender chocolate and lavender pâté. Syrups, jams, ice cream are prepared from the flowers. And, of course, they will invite you to drink aromatic lavender tea. To speck briefly: do not pass by souvenir shops: you simply cannot imagine the amount of magic inside! 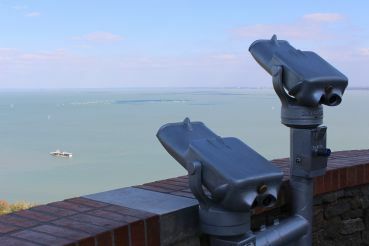 Stroll along the embankment and look through binoculars at hundreds of sailboats. 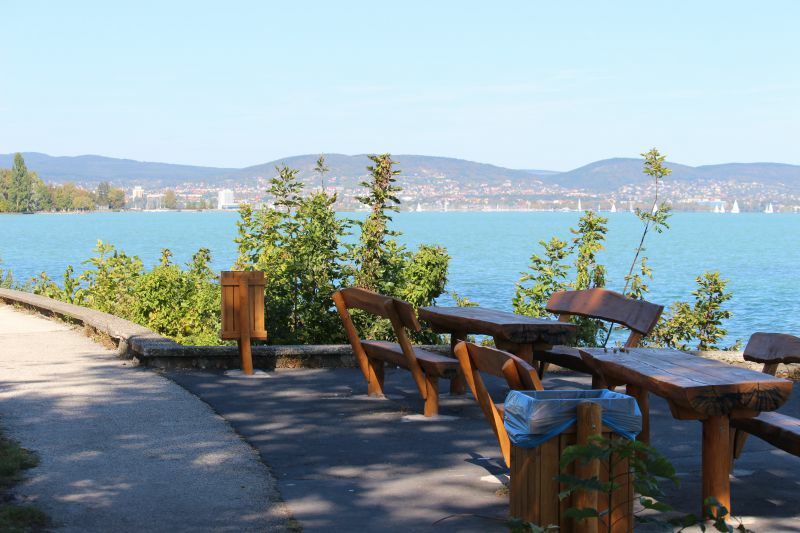 This is one of the most beautiful promenades of Balaton! 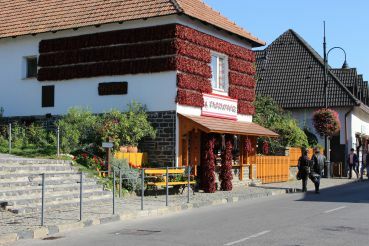 Go to the Paprika House. One thousand and one paprika! 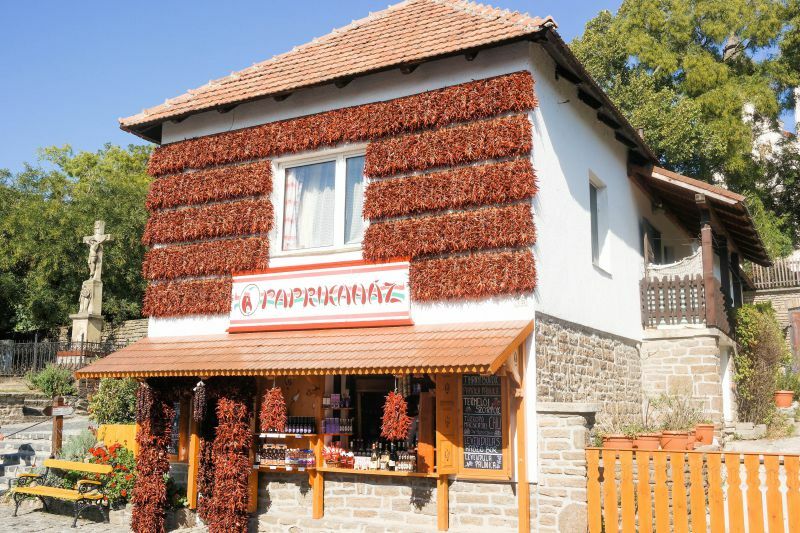 An amazing house, decorated with red pepper is right in the center of the village! 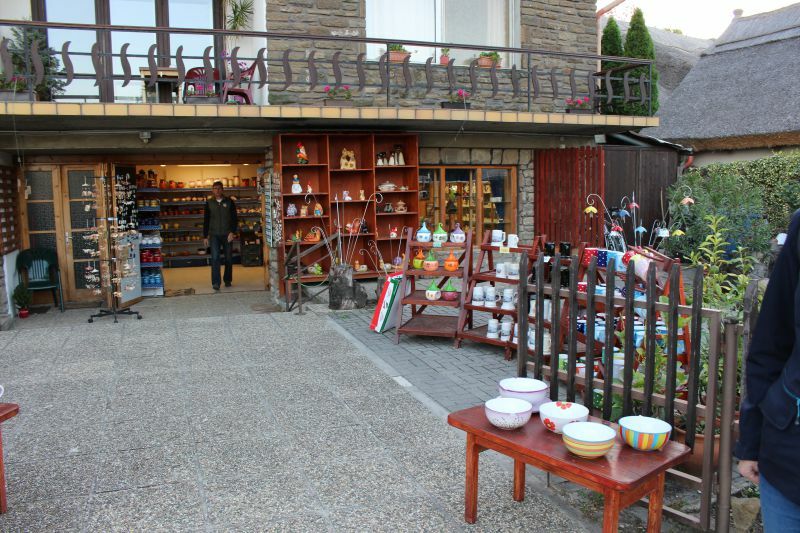 In fact, this is a store in which you can really find a lot of products made from paprika and other souvenirs. Visit the organ music concert at the abbey church. Take an underground journey through the Óvár caves. It is a system of underground halls, narrow corridors and fancifully hanging stalactites. 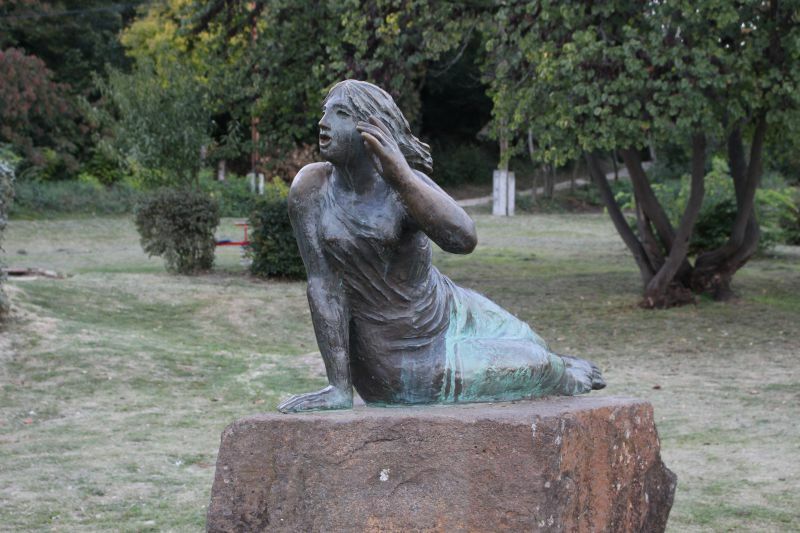 Shout near the Statue of Echo and listen to your voice. Try yourself in water sports. 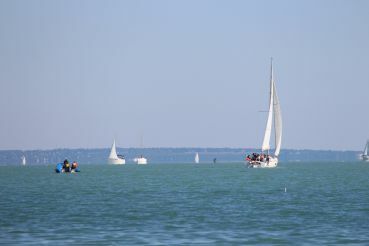 Tihany is a center for sailing and SUP. Visit the Lavender House. A cozy place where you can learn everything about this flower and try delicious chocolates. Relax on the beach. You will find many beaches on the peninsula. There are both paid and free among them. 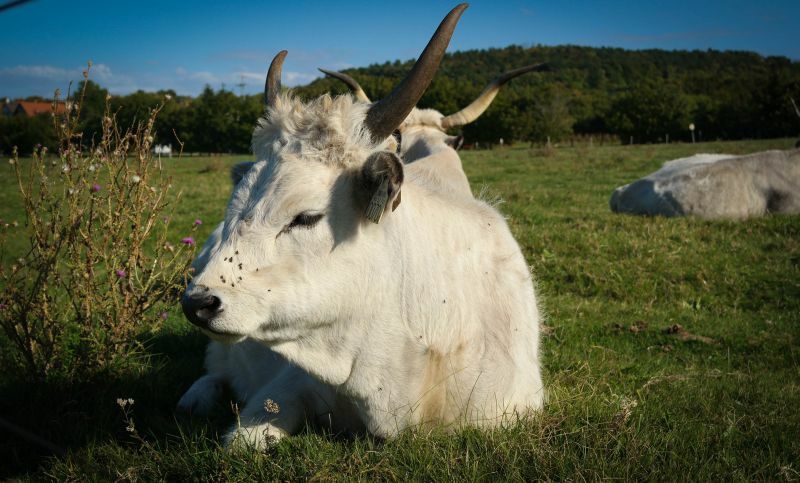 Meet the amazing Hungarian cows – a special breed of cows that live near the Lavender House, in the reserve. Walk through the streets. 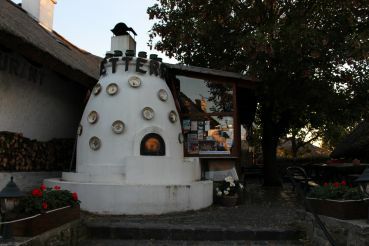 The amazing streets of Tihany are very interesting. Quiet lavender streets that have a special charm and invisibly hide you in their magical world. 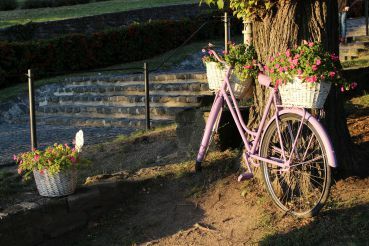 Lavender bicycles are parked here, and houses are decorated with red pepper. 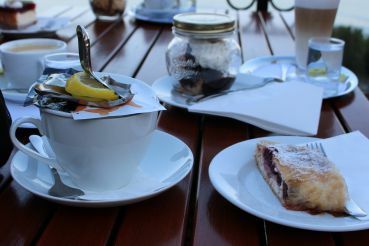 Delicious desserts and warm sweets are served in the cafés: so that the wind does not interfere with the serenity of Balaton. Of course, take the magic of lavender with you! Lavender sweets – 350 forints. Lavender liquor – from 500 forints. Lavender soap – from 750 forints. Lavender magnet image of Tihany – 750 forint. Funny tourist trains Locomotive Little Train Tihany and Dotto Little Train ride on the peninsula. 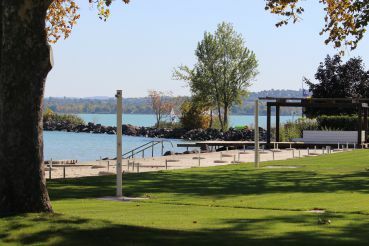 They connect the main attractions of the peninsula. 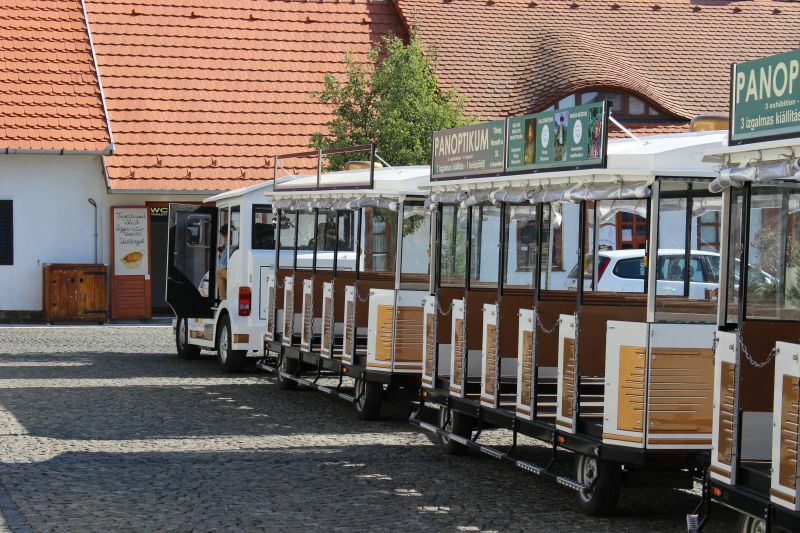 The tourist train runs daily from April to October. It runs every 20 minutes between Tihany Fogas Csárda and Tihany Rév. And between Tihany Fogas Csárda and Vessel Station. On the way – 10–20 minutes. 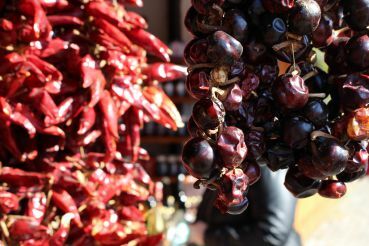 Price: adults – 500 forints, children – 400 forints. 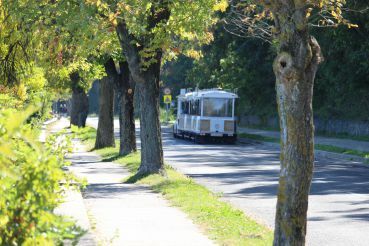 Regular buses that connect the villages of Balaton also run on the peninsula. In addition, it is possible to rent a bike. Contact the tourist center, near the abbey. Also at the hotel there is a bicycle rental. 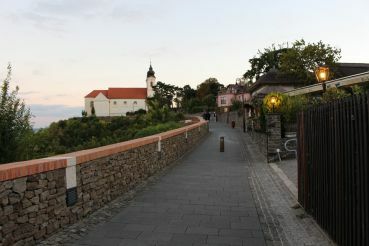 There are many hotels on Tihany. You will find both three-star and four-star. But if you are planning a family vacation, perhaps it will be more convenient for you to stay in a villa. Or choose a family apartment. 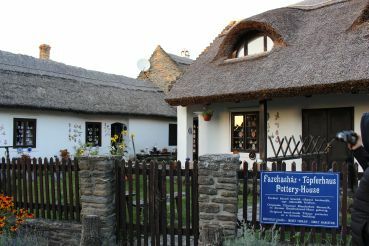 This is ideal for exploring a small Hungarian village: you can experience the local flavor and learn more about the life of the locals. Apartments: 30–40 euros in low season, 30–60 euros in summer. 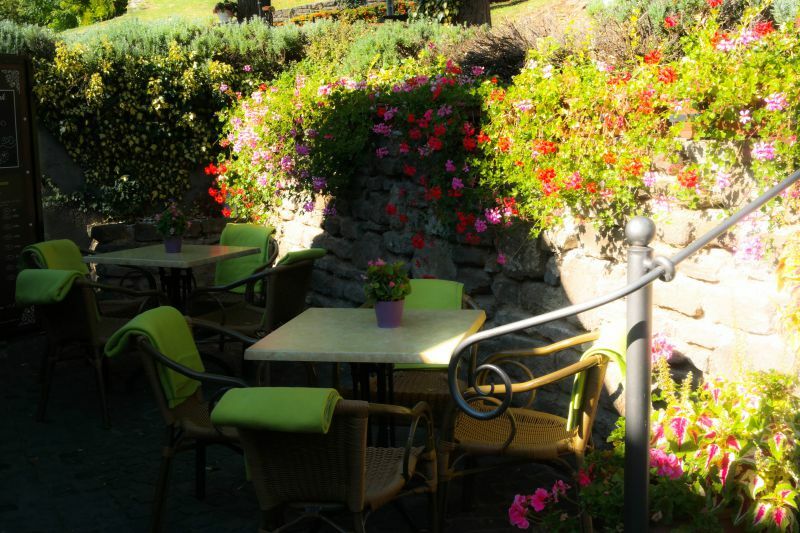 3 star hotel: 40–80 euros in low season, 70–100 euros in summer. 4 star hotel: 60–100 euros in low season, 100–200 euros in high. 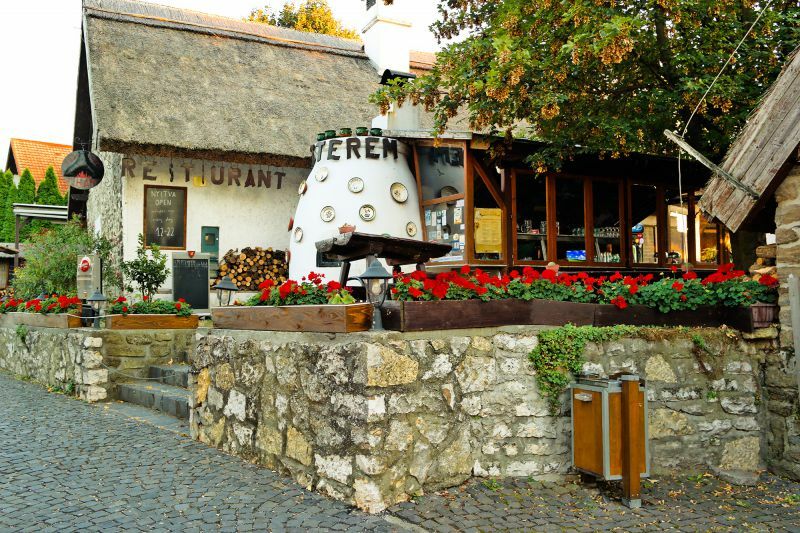 On the peninsula you will find cafés with magical desserts, coffee shops, pizzerias, where you can try traditional Hungarian cuisine. And, of course, there are many European restaurants and wine bars. 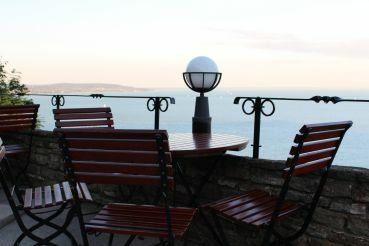 The most famous are the restaurants where you can taste the Hungarian dishes and enjoy the beautiful views. One of the best is Apátsági Rege Cukrászda. Be sure to order the fish soup for the first course, fried fish – for the second, and for dessert – Somlói galuska (on the picture above). By ferry. 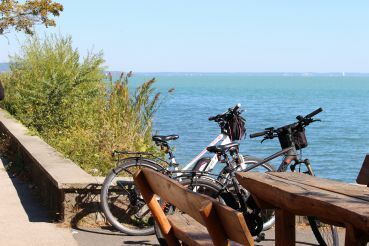 The Tihany Peninsula is the most popular place on Lake Balaton, not only because of its beauty. The ferry runs here, it transfers tourists to Szántód. The ferry runs throughout the day. It takes only 8 minutes. Price: 700 forints. 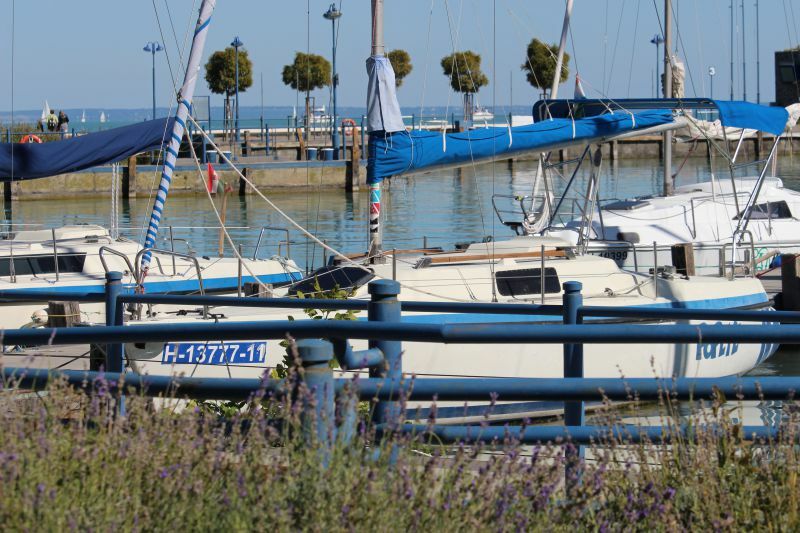 Therefore, it is convenient to get from the south coast if you are relaxing in Siófok. Also, except for the ferry, ships go from different ports to the peninsula. By train. 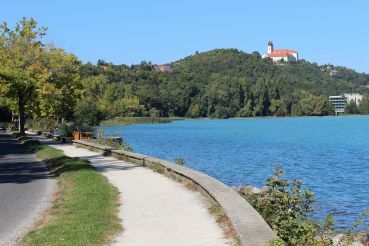 There is no direct railway connection to the Tihany Peninsula. The nearest train station is Balatonfüred. 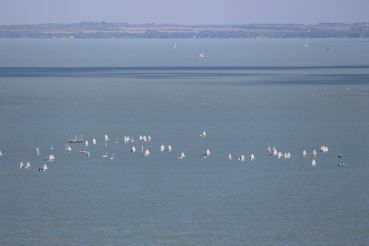 Budapest – Balatonfüred. Price: 2725 forints. It takes about 2 hours. The first train leaves at 4:05 in the morning. The last is at 00:15. Most trains travel with transfers. Therefore, on the way you can spend from 2 to 5 hours. They go 2-3 times per hour. After that you need to transfer to the bus to Tihany at the bus station, which is located next to the railway station. By bus. The best option is to go from Budapest. 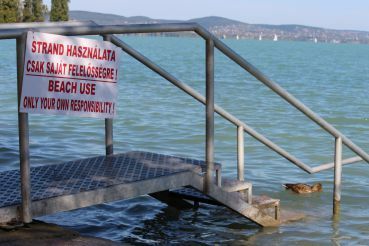 Budapest – Balatonfüred. Price: 2725 forints. It takes about 2 hours. The first bus leaves at 6:30 in the morning. After that you need to make a transfer to the bus station. By car. Take the M7 from Budapest, then take the 71 highway. The journey takes about 1.4 hours.